Up until early June of 2010, our spray systems (and white paint) has also been sold by Becker Arena Products. Because they no longer represents our company, we have the opportunity to offer our spray systems to the customers at a reduced price. Please contact us for more details. Offers ability to simultaneously mix paint while painting the ice. Reduces time to paint rink since there is no stopping to mix paint. Hose (and rink crew) never have to leave the ice when painting. 100 gallon tank stores enough paint for 1 coat. 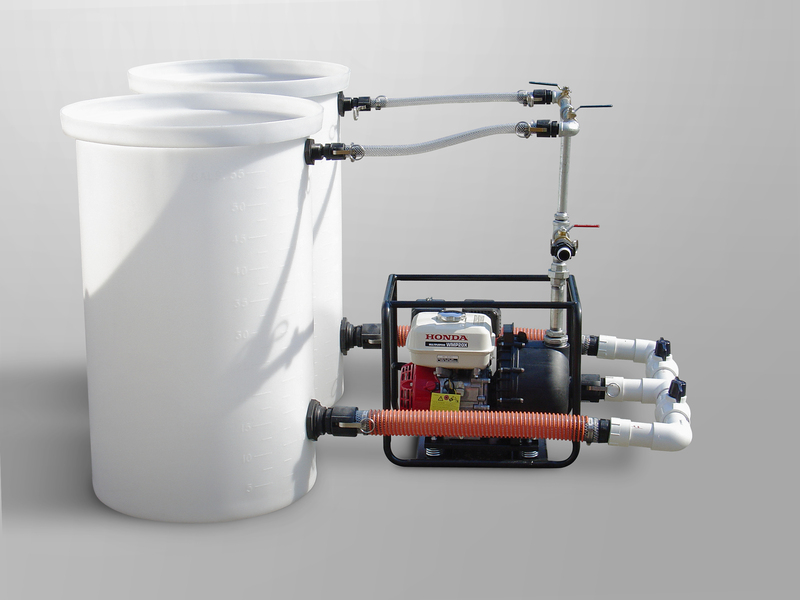 Flexible connections means pump and tank can rest on uneven ground. Mounted on solid wood cart with urethane finish and removable handle (cart is 36" wide x 72" long). Manual wind hose reel and 250’ ice making hose. Tanks with calibrated gallon measurements MOLDED onto the tank - not a sticker that can come off like other companies use. 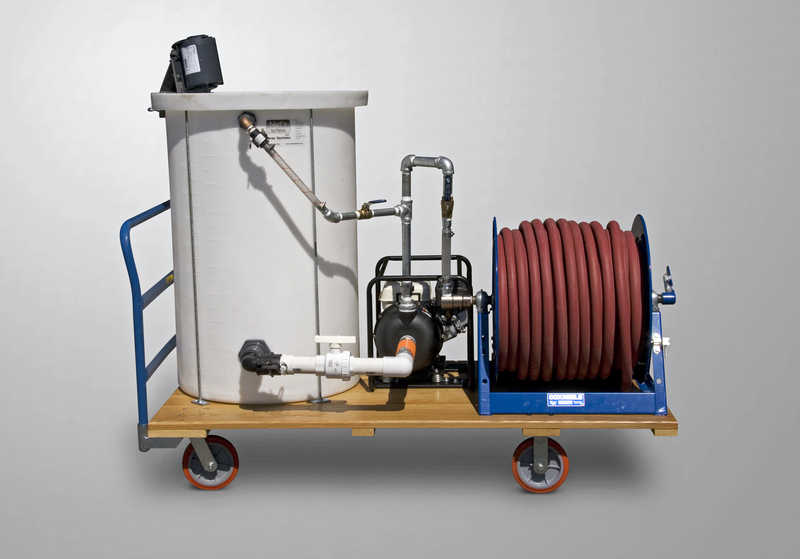 Suction and recirculating lines are made from flexible hose so the system may be used on an uneven surface. 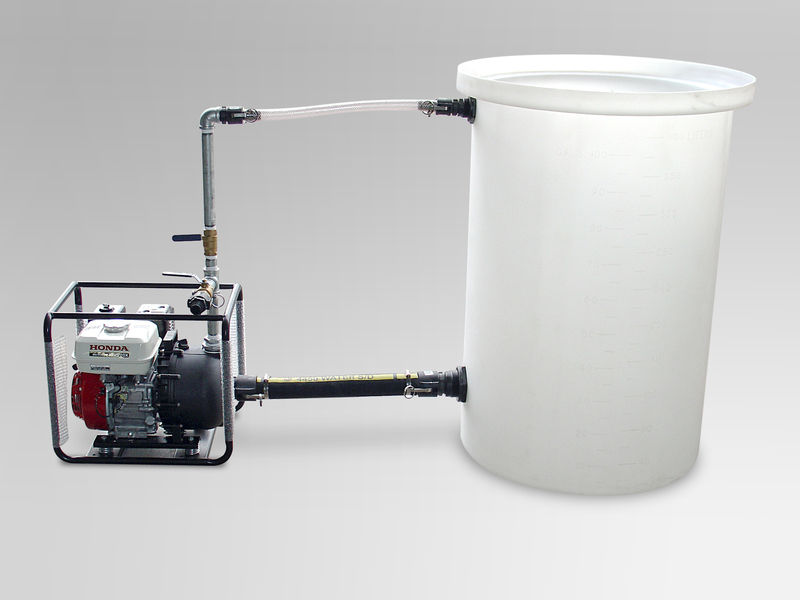 Since each system is made to order, anything may be added, removed or modified to meet your needs. Quick disconnect for simple attaching and removing the spray wand form your hose. 14 removable/cleanable spray heads apply paint through a fine mist allowing for almost instant freezing of the paint. Spray nozzles lock into position to ensure that the paint is evenly applied and spray patterns do not collide with each other. Can be used with any ice paint on the market including our OMG! Base Coat White. Each wand is hand made with utmost attention to detail. When completed each is polished to a nice shine.